Hi friends! How are you, are you enjoying the spring? 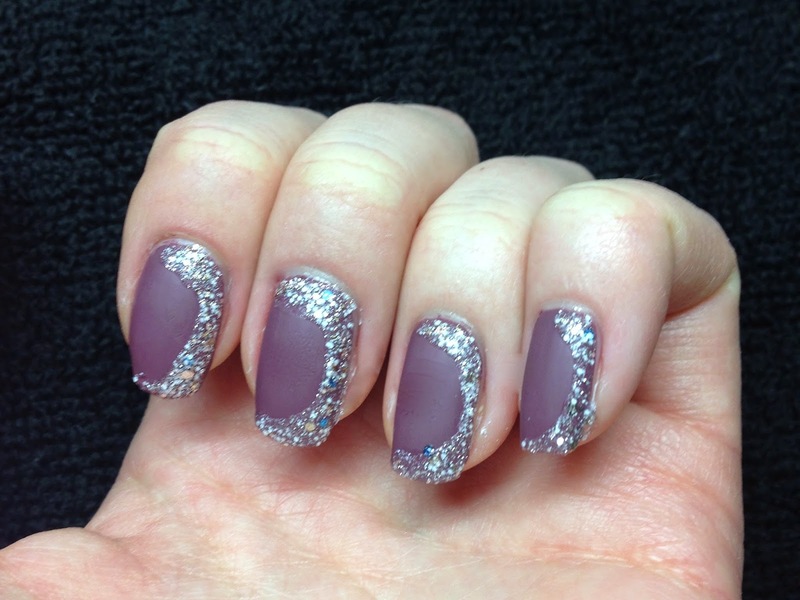 Here is a new nail design I did this week. It's similar to half moon design I did a few weeks ago, but I added a little twist. 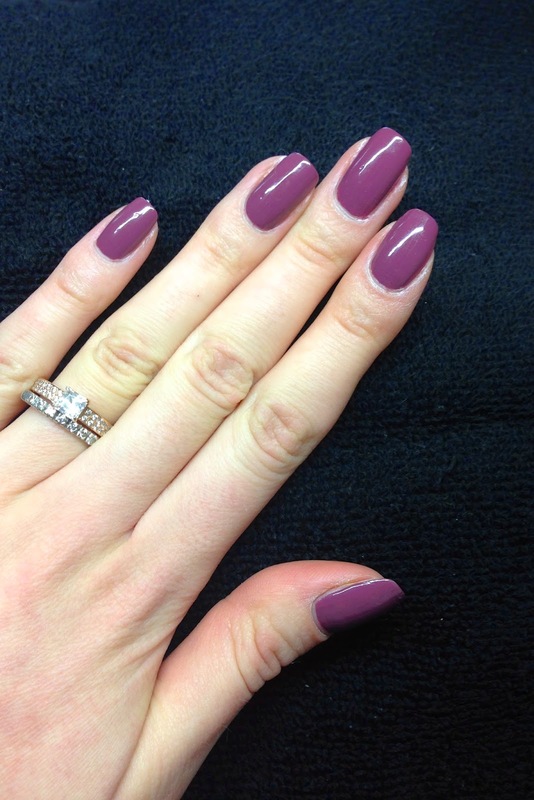 Start with two coats of Married To The Mauve #129 by Vinylux. Since I'm using Vinylux nail polish I skipped the base coat. 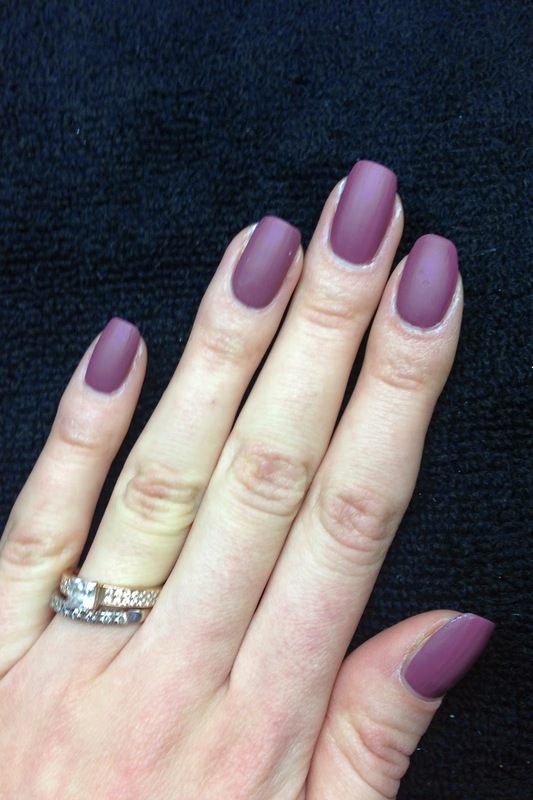 Paint your nails with OPI Matte Top Coat. Apply Reinforcement Labels on each nail. 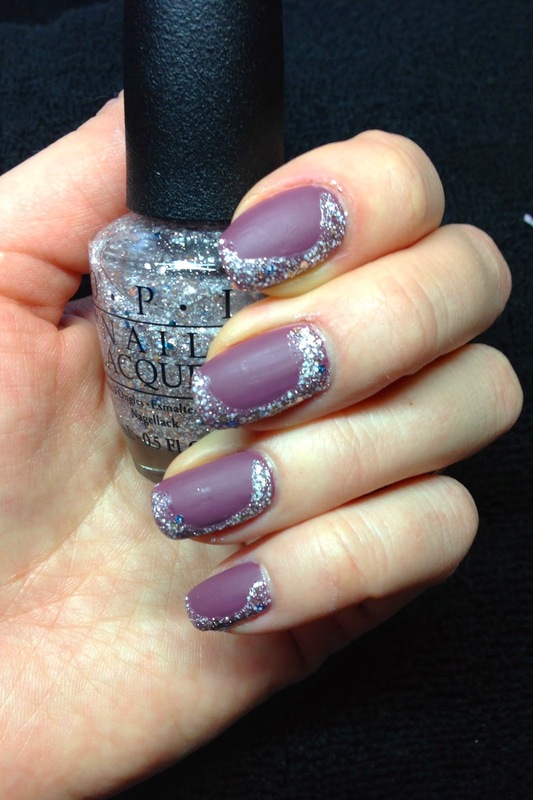 Paint the half moon with Muppets World Tour by OPI. 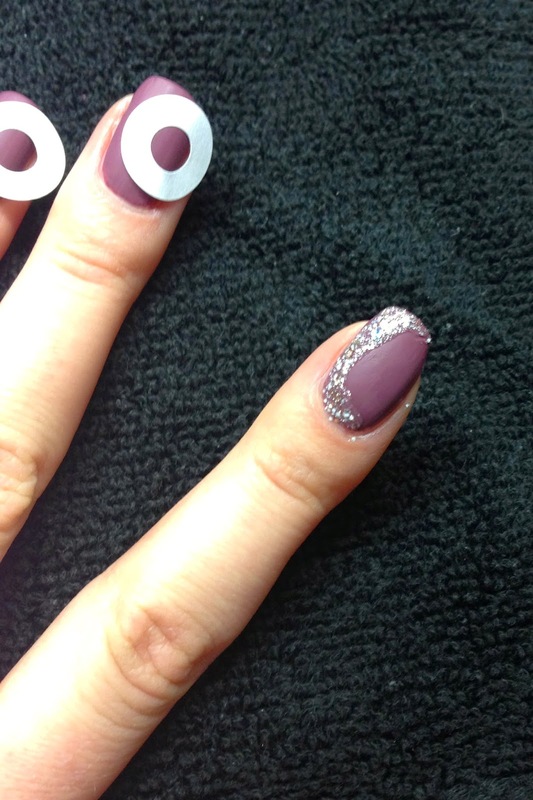 Remove the label and repeat on other nails. Now you done! Enjoy it! You can also try it with a different color, I bet it will look very pretty with black or burgundy colors as a base.